This is the official blog regarding MYFAROG (Mythic Fantasy Role-playing Game), “the Burzum RPG”, by Varg Vikernes. The idea behind this blog is to make a website to promote MYFAROG, but also to allow those interested to really find out what the RPG is all about, before they potentially puchase the game (when it has been published). Further, the blog was set up to provide support for gamers who play MYFAROG, with free and downloadable resources for them to use in their gaming groups. 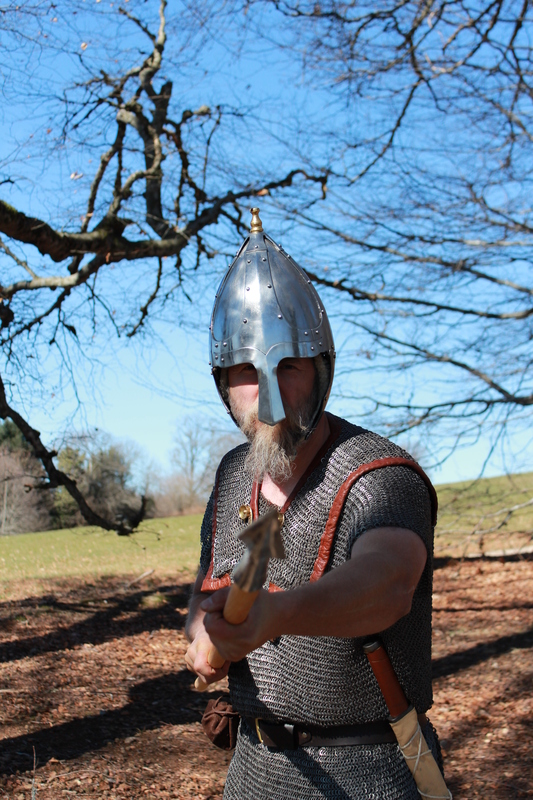 Have you ever considered doing a form of historical re-enactment Varg? I’ve been an Anglo-Saxon re-enactor for a few years now and its a great way to re-engage with ones cultural history and the activities of our forebears. Varg I am your fan since I was 10. In start I didn’t understand a thin because I was just listening to your music with a cuosin. When I was twelve you became my idol and favourite musician. I like the Burzum really much. Now I am 17 and when I heard that you are creating the RPG I was really interested in playing it. Can’t wait for it! In the upcoming years I would like to meet you, but not to get the damn autogram but to sit and talk to you!! Where are you living now? Greetings from Serbia!! Pouvons nous espérer une edition Française de MYFAROG? Have you thought of publishing your RPG through the crowdfunding (like Kickstarter)? I don’t want that. I will take the economic risk of publishing it myself. I understand, seems to be your way. It will be a great credit to you. The great advantage of crowdfunding is that only people really interested are part of it. When is Myfarog being released? By that I mean in print, will it be this year? I have almost no chance of getting properly into it without it being in print, it just isn’t the same on a screen. A lovely big box with rules, dice, maps, pieces etc. would be perfect. It would take me back to my Warhammer obsessed teenage years. The plan is to release it as a proper hard-cover book late this year. I look forward to it, from the blurb and the front cover art it looks set to be amazing. I also know that you have a similar idea of where other rpgs have failed and where they have succeeded, as I do. I’m glad there will be none of the weirdness where high level characters effectively have the skin of a King Tiger or anything like that. Keep up the good work! As a long time player (over 20 years of playing RPGs) I look forward to playing your game. A friend has spoken of it and it has peaked my interest. I have played RPG’s from the original dungeon master to Skyrim. I hope my input will help in shaping your game. Also I played legend of the five rings, dungeons and dragons and Rogue trader regularly. I have been looking forward to this for a few years. Nous sommes voisins, j’habite à Dinan dans les côtes d’armor, et tu sais que les Bretons aiment assez les reconstitutions historiques. Cela pourrait être interressant de dévelloper ton RPG en local en essayant de mobiliser un maximum de monde. Je cotoie depuis des années des gens de toutes mouvances dites “extreme-droite” en Bretagne (Adsav, FN, Jeune Bretagne, Blood and Honour…) et je pense que nombreux sont ceux qui aimeraient ce RPG ( et aussi te rencontrer mais cela doit te gonfler). Voilà en gros l’idée, digerer toutes ces règles en anglais pour participer à ton RPG est quasi-impossible si on maitrise pas la langue à fond. Hors comme tu déclares vivre en Bretagne, pourquoi ne pas animer une assemblée de joueur? Franchement il y aurait pas mal de monde je pense, et ça pourrait donner lieu à des matchs entre différentes nations en plus. Bref, je sais même pas si tu parles un peu français et si tu me comprendras. Au pire ça n’a pas d’importance, j’améliorerai mon anglais et j’achéterai un meilleur dictionnaire… ça m’a fait plaisirs de t’écrire quelques mots. Je te remercie en tout cas pour donner de la force à nos convitions. Pourquoi n’animerais-tu pas une assemblée de joueur? Voilà ma vraie question, mon post était brouillon, désolé. Dinan? I purchased my car in Rennes. That is not too far away from you. Well, I did live for about half a year near Sarzeau back in 2010, but since then I have moved several times, to Auvergne and to Limousin, so right now I don’t live very close to you. You should consider making this into a video game, specifically a crossplatform indie game. Check out the ‘Humble Indie Bundle’ for examples of projects like the aforementioned. I, and I’m sure others, would most certainly donate top dollar for such an awesome virtual adventure. PS: I love your work as a musician. Filosofem and Fallen are my current favorites of your works. I wouldn’t know how to, and I do prefer pen and paper RPGs anyhow. Greetings from Greece and good luck on your new RPG! You can read about it on Wikipedia, but the explanation in the MYFAROG rule-book should be enough in itself. You are welcome to “sign up” if you want to. Check out the playtest post. Leukesson, the mechanics are not usually very complicated but most do require you to sit down and have a good read before you play, in fact it is part of the appeal. If you are anything like me when you get the book and assuming it will be as good as all indicators say it will, you will sit down with the book, hours will fly by and you will have the setting and the game mechanics playing around your mind for days afterwards. Propably a video that lasts about 1:00-2:00 minutes. This video will include scenes from wintery Finland (forests, rivers, hills and so on) I will also include some drawn pictures into this video, which would include pictures out of realistic looking Iron-age warriors and mythic monsters. Some kind of soundtrack, so i was wondering whether i could use few songs from Hliðskjálf? I would also add texts to the video, including the maker/creator of the game (you, Varg Vikernes), the illustrator and everyone who you want to credit from making that game. I would upload this video to youtube, and i’m pretty sure, it would draw a lot of good attention to it. Sounds good to me. Yes, you can use Burzum-music for that. No problem. All (known…) information regarding the game can be found in the posts on myfarog.org. See in particular the front cover (http://myfarog.org/2013/01/04/myfarog-front-cover-and-acknowledgement/) and the features (http://myfarog.org/2013/01/04/myfarog-features/). I have a little idea about making a video concerning your MYFAROG. I have planned making this “advertisement”- video about your RPG. Could i get your blessing to this project or are you strictly againts voluntary advertising? If you say no, i will not do this video. It sounds cool. What do you have in mind?